Creval 40 mg Tablet is used for pain relief. 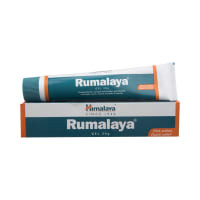 It relieves pain and inflammation in conditions like rheumatoid arthritis, ankylosing spondylitis, and osteoarthritis. Take this medicine in the dose and duration as advised by your doctor. Swallow it as a whole. Do not chew, crush or break it. Creval 40 mg Tablet may be taken with or without food, but it is better to take it at a fixed time. Creval 40 mg Tablet is a non-steroidal anti-inflammatory drug (NSAID) called COX-2 inhibitors. It works by blocking the release of certain chemical messengers that are responsible for pain and inflammation (redness and swelling). Creval 40 mg Tablet may be unsafe to use during pregnancy. No information is available on the use of Creval 40 mg Tablet during lactation. Please consult your doctor. Creval 40 mg Tablet may cause side effects which could affect your ability to drive. Creval 40 mg Tablet is probably safe to use in patients with kidney disease. Limited data available suggests that dose adjustment of Creval 40 mg Tablet may not be needed in these patients. Please consult your doctor. Creval 40 mg Tablet should be used with caution in patients with liver disease. Dose adjustment of Creval 40 mg Tablet may be needed. Please consult your doctor. Use of Creval 40 mg Tablet is not recommended in patients with severe liver disease. 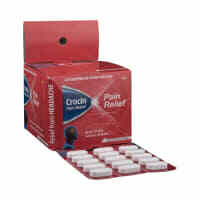 Creval 40 mg Tablet helps relieve pain and inflammation. It may cause fewer stomach problems as compared to other NSAIDs like Ibuprofen or Naproxen. It may cause dizziness and fatigue. Do not drive or do anything requiring concentration until you know how it affects you. 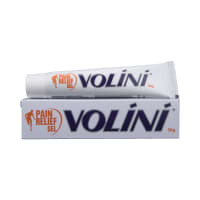 Do not consume alcohol while on treatment with this medicine as it may cause excessive drowsiness. Regularly monitor your blood pressure while taking this medicine, particularly in the first two weeks after starting treatment. Inform your doctor if you have a history of stomach ulcers, heart diseases, high blood pressure, and liver or kidney disease. During long-term treatment, your doctor may want to take regular blood tests to monitor your liver function. Do not take Creval 40 mg Tablet if you are pregnant, planning to conceive, or breastfeeding. I am having calf muscle pain in the right leg for the past 6-7 months. 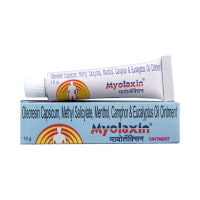 No relief even after massage/pain relief ointment/pain relief medicines. Do you have any questions related to Creval 40 mg Tablet? Q. What is Creval tablet and what are they used for? Q. Why is Creval banned? Creval was banned due to safety concerns of an increased risk of cardiovascular events and serious and potentially life-threatening skin reactions.